Every other month, the New Beauty TestTube comes out with a great variety of beauty samples, both full and deluxe sizes. You can get everything from makeup to haircare to skincare. 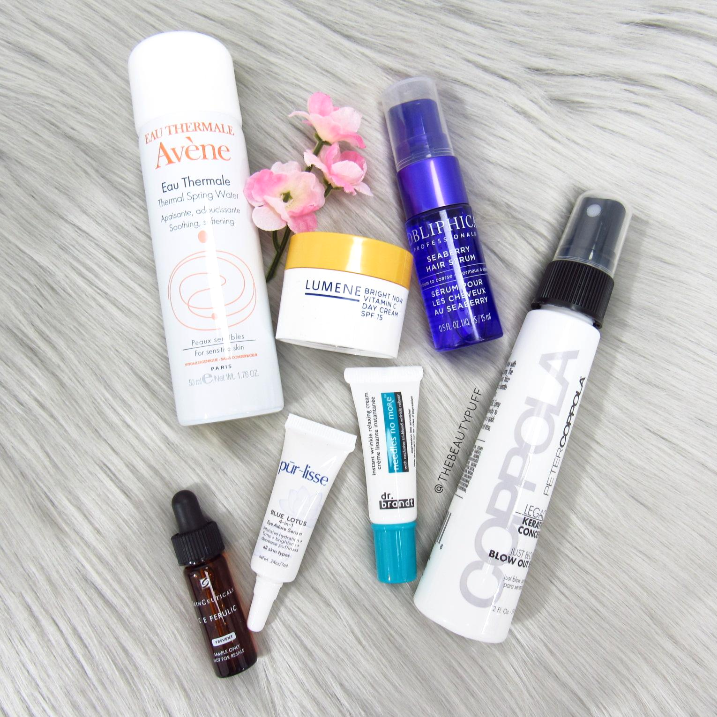 I've found a lot of favorite products through this subscription and this month was another great selection! SkinCeuticals C E Ferulic serum sample | Full size 30ml $162 | This serum reduces the appearance of fine lines and wrinkles while neutralizing damaging free radicals that harm skin. It contains vitamins C and E as well as ferulic acid which strengthen skin to protect against things like damaging sun rays and pollution. Pur~lisse Blue Lotus Eye Serum .24 oz | Full size .5 oz $65 | I'm already a huge fan of pur~lisse so I was excited to see this serum included this month. I have another sample of it from another subscription service so it's already a part of my beauty routine! It absorbs quickly and feels very nourishing under the eyes. I use this even when I'm not wearing makeup to keep my under eye area smooth and bright. 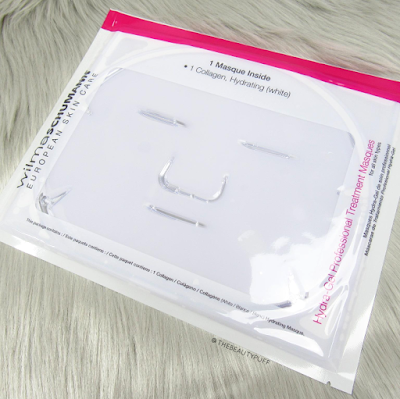 Dr Brandt Needles No More .085 oz | Full size .5 oz $89 | This wrinkle relaxer instantly smooths lines on the forehead and around the mouth and nose. This is a small sample but as with most Dr. Brandt products, I'm sure a little goes a long way. I don't have a lot of fine lines right now, but I'll definitely hold on to this sample! Peter Coppola Blow Out Spray 2 fl oz | Full size 6 fl oz $24 | TestTubes came with either this spray or a Hairspray by Peter Coppola. I love the multi-purpose blow out spray because it smooths and protects at the same time. This would be ideal whether I straighten my hair or use a diffuser and wear it wavy. It also smells great which is a bonus! Avene Thermal Spring Water | Travel size 1.76 oz $9 | This hydrating mist contains spring water with trace minerals that help reduce irritation and soothe skin. It can help with itching and hypersensitivity due to dry skin or even sunburn. You can apply it multiple times a day for a refreshing mist. I've been enjoying skin mists first thing in the morning after I wash my face. It's a quick boost of moisture that helps perk up my skin to start the day. Lumen Bright Now Vitamin C Day Cream .5 oz | Full size 1.7 fl oz $19.99 | I believe this cream was included in a TestTube last year, but it's obviously a great product to have once again! This cream will provide a luminous finish for a brighter, healthier looking complexion. It has absolutely no parabens, mineral oils or synthetic colors so you know what you're putting on your skin. A great complexion booster for this time of year when you may want to wear a little less makeup. Obliphica Professional Seaberry Hair Serum .5 fl oz | Full size 65 ml $38 | Hair serum is something I use after every single shower. This serum however, can be used on wet or dry hair! I love that because I've recently been into some dry oils that can be applied to dry hair without getting really greasy. Sometimes you need an extra boost of smoothness even after styling. This is already coming in handy to tame my wavy hair on extra frizzy days. Wilma Schumann Hydra-Gel Masque (1) | Full size 4 masks $39 | I almost didn't see this mask at the bottom of the box because it didn't fit in the TestTube due to its size! This mask comes flat and is thoroughly saturated with skin-loving ingredients such as rosewater, hyaluronic acid, grapeseed extracts, aloe vera and deep see soil. I'll look forward to a night of hydration thank to this mask... and of course the refreshing rose scent! Hado Lobo Moisturizer | Full size $17.99 | I have seen this brand on Ulta's website and almost ordered this product so many times! This is definitely one of my favorite products this month. It has hyaluronic acid and is lightweight and fragrance free, perfect for my oily, sensitive skin. I saw that this could even be applied over makeup, which I may not try, but I thought it was interesting. Rituals Magic Touch body cream in Cherry Blossom & Rice Milk 2.3 fl oz | Full size 6.7 fl oz $29 | This body cream is my absolute favorite product this month. The scent is very soft and sweet which is exactly what I love this time of year. The cream itself is incredibly smooth and lightweight due to its whipped texture. It leaves skin feeling silky and nourished without leaving any residue behind. Overall, a great body cream for spring and summer.